When you’re looking for bicycle lights, you need a product that can light your way when there is either low light or no light available. And for the sake of safety, you also want a light that will keep you illuminated both during the day and at night. It’s also important to consider that your chosen bicycle light should be fairly compact, accomplishing the illumination goals without adding a lot of weight that’ll slow you down. And, wherever you’re riding, you want to see all obstacles and hazards as well as possibly, so you can safely avoid them. 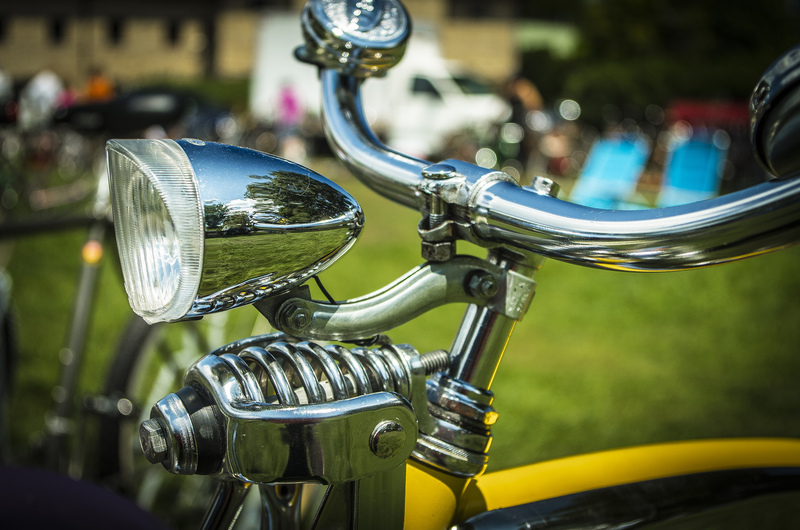 A bicycle light truly is a necessity. Apart from the obvious drivers of quality and price, which will be specific to your own circumstances, there are some other factors to consider when buying your bicycle lights. The first of these is the actual output of the light itself. If you’re a commuter on your way to work in the wee hours before dawn, you’ll need something strong to pierce the darkness and light your way. Look for a light with a battery that can put in the long hours, and hold a charge for an extended period of time. The last thing you want is to have your battery go dead in the middle of a morning commute and be left in total darkness. Of course, you can (and should) lessen this danger by always carrying extra batteries, but you don’t want to be swapping out batteries every time you head to work. A long-lasting battery can eliminate the issue of constantly stopping and swapping. Consider a light that can be positioned in a location on your bike which makes it easiest for you to be seen by oncoming and trailing traffic. Darkness can be a dangerous situation for a biker, and it’s critical that you be seen by vehicles you share the road with. 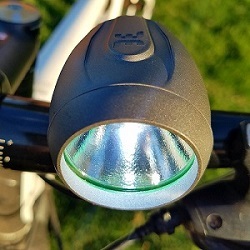 Having a bicycle light that can be attached to more than one area of a specific bike model is ideal. Available on Amazon for about $60, the Cygolite features a super bright 5-watt, 420 lumens LED light to brighten up your path at night or in the early morning. Its lithium-ion battery is rechargeable and lasts up to 25 hours on a single charge. It mounts to your handlebar and is relatively light, weighing in at about 110 grams. At about $25, the Xtreme is light, waterproof, and operates on three AAA batteries, including the rechargeable variety. High-quality construction makes it a very durable light that you will find yourself using for years on end. In addition to three different light settings, it has an emergency flash feature which can signal a distress situation. The Hotshot is made specifically for your bike’s rear and keeps you clearly identified to all traffic behind you. 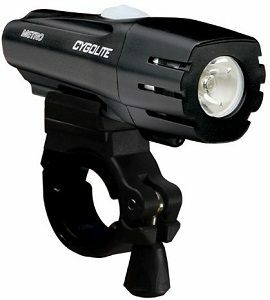 Cygolite has established a reputation for its bicycle lights being compact, bright, and rechargeable, and the Hotshot is no exception. 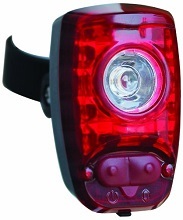 Available for about $33, the Hotshot tail light can have its light mode adjusted via pushbutton while you’re cycling. 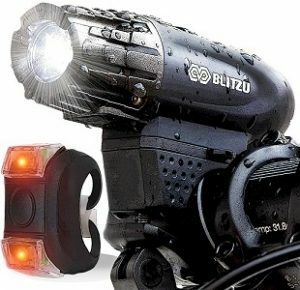 The Blitzu Gator is reasonably priced at about $20 and can be recharged via USB port. It is extremely durable in construction, can swivel 360 degrees to shine in any direction, and can be detached without removing the entire mounting bracket. It’s also water-resistant, so it won’t leave you in darkness when showers pop up during your ride. This Bright Eyes Headlight is for serious off-road illumination. 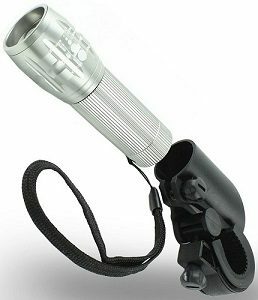 For about $40, you can literally light up the wilderness with 1200 lumens of light, using a battery that lasts between 5 and 25 hours, depending on your illumination setting. This is a waterproof light that is ideal for camping out and comes with helmet accessories so it can be worn instead of mounted.